Cookies, cookies and more cookies! That’s what is stocked in our freezer right now. We have been baking fools for the last couple weeks trying to get the care packages sent to the grown up boys before Christmas. 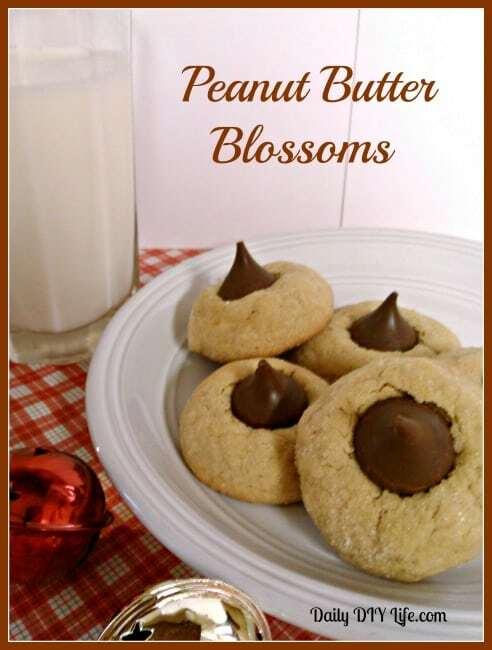 One of our absolute favorite Christmas cookies to make for the holidays are these easy Peanut Butter Blossoms. 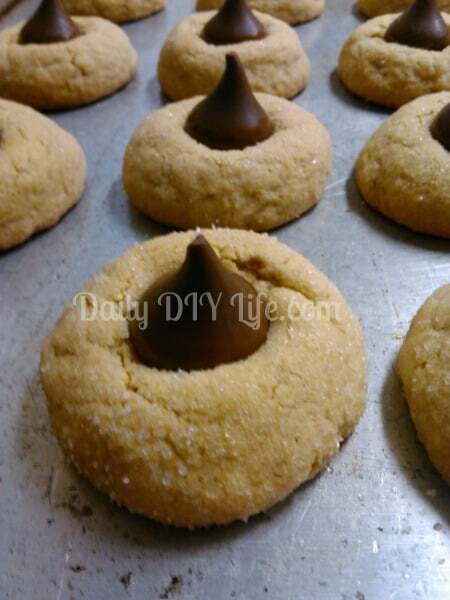 Traditional peanut butter blossoms are made using a soft and sweet peanut butter cookie recipe, topped with a milk chocolate Hershey’s Kiss. You could also change things up a bit and use one of the many flavors Hershey’s now offers for their kisses. Peppermint, peanut butter, white chocolate, almond … there are so many different wonderful flavors available now. 1. 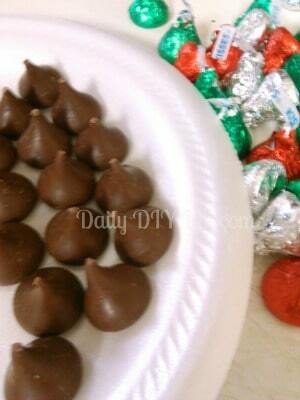 Unwrap your Hershey Kisses and set them aside. 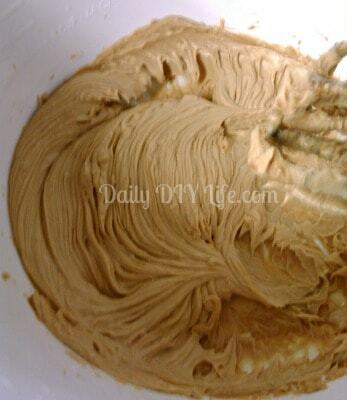 2.Cream together the butter and the peanut butter, until smooth. 3. Add both sugars to the peanut butter mixture. Mix until fluffy. 4. Add egg, milk and vanilla. Beat together well. 5. 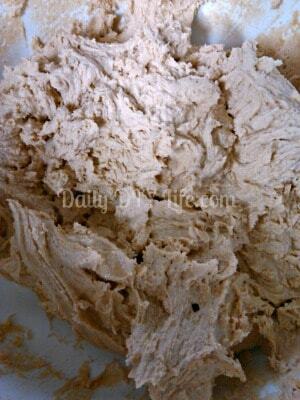 Add dry ingredients (flour, baking soda and salt) to the peanut butter mixture. 6. 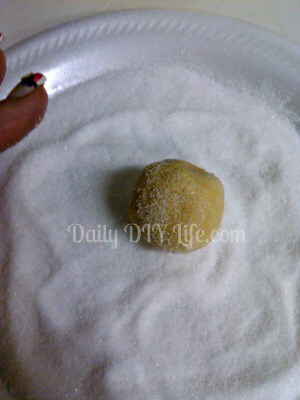 Using a mini ice cream scoop ( or 1 Tablespoon), shape the dough into a ball and then roll it in additional granulated sugar. 7. Place on an UNGREASED cookie sheet about an inch and a half apart. 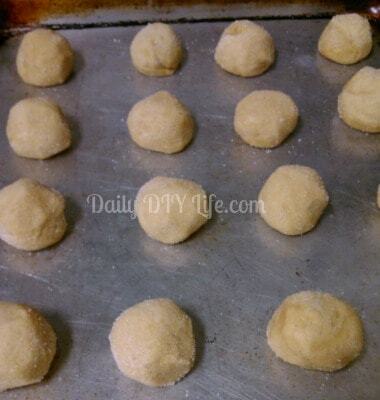 Bake in 350 degree oven for 8 – 10 minutes or until the edges are a light golden brown. 8. 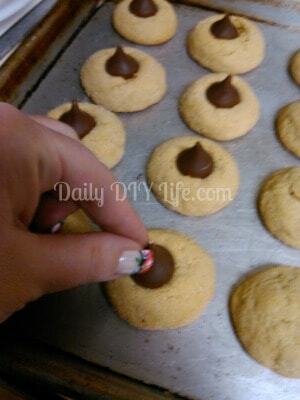 Remove the cookies from the oven and place one unwrapped Hershey Kiss in the center of each cookie. Pressing firmly into the dough while the cookies are still hot. Transfer the cookies to a wire rack to cool completely. The cookies will crack a little and that is perfectly normal. Makes about 48 cookies. And there you have it!! ONE of our favorite cookies to make at Christmas time, and through out the year as well. These are a big hit with the teens and adults alike. Do you have a favorite Christmas cookie? We have way to many to pick just one! Be sure to sign up for our NEWSLETTER to get all of our Tuesday Tips , Recipes, and Projects right to your in box! LIKE US ON FACEBOOK or FOLLOW US ON TWITTER to be the first to know when we add new goodies! 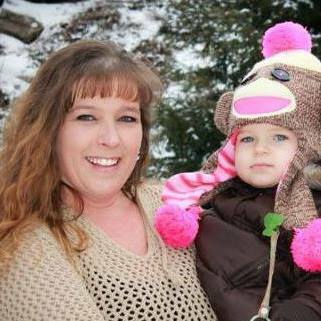 A 40 something mom of 4 wild and wonderful boys and a grandmother to one perfect little princess. I love cooking, crafting and creating everything I can. My family means the world to me, and keeping them happy keeps me happy! This is my one obsession at Christmas time. We LOVE Peanut Butter Blossoms in this house for sure. These look really good. 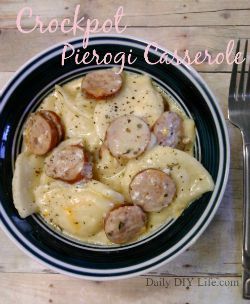 The recipe is very similar to the one I use. Mine too Crystal! I think the key is a good peanut butter cookie recipe, that doesnt crisp up while baking. Always a hit around here for sure! You can do it Sue! I have faith in you 🙂 Hope you had a very merry Christmas! Hi I'm Heather! I started Daily DIY Life in April 2014 as a way to share all of our favorite DIY projects and tasty recipes with the world. I am happy you are here and look forward to helping you Expand Your Creative Lifestyle! Never Miss New Projects! Subscribe below! 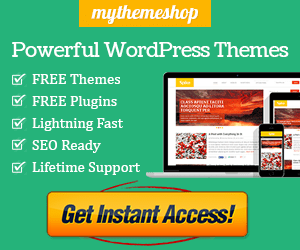 This blog was made beautiful with the help of MyThemeShop.com! Check them out below! Daily DIY Life Copyright © 2019. Get All Daily DIY Life Recipes and Projects Delivered Right To Your Inbox!